We had over 40cm of snow between Saturday afternoon and Sunday night. I was knee deep out on the walk way when we went out to shovel out our vehicles and Maggie would not leave the deck to go pee until we had shovelled some of the walkway! For such a transient neighbourhood where sometimes it seems almost like we get new neighbours on a weekly basis, we have a great bunch of people who help each other out. We have shared driveways here and our new neighbour was surprised when she looked out to see us clearing the driveway with another neighbour who has a snowblower. She could not come out to help as her two little kids were napping so we cleared the driveway and dug out her vehicle. My fella' went on to help another neighbour before the snowblower moved onto that driveway. 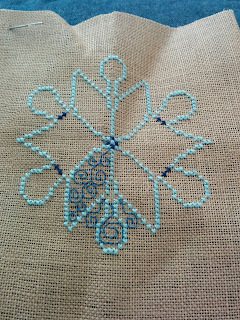 Once we were done with the shovelling, we spent the day watching movies and I stitched. Here is another pinterest pattern in the series that I am stitching. 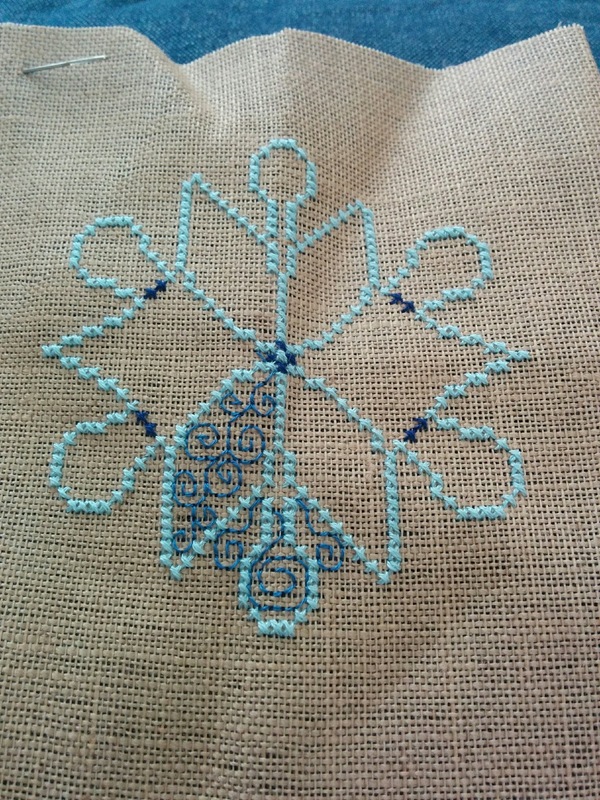 I have been searching for more patterns in a similar style as I only have one more in the snowflake style and I was hoping to make a dozen. Today we are back to normal although the schools are closed because of road conditions and there are delays all over the place. I just finished cleaning up the driveway from the plough going by this morning and from us cleaning off the roofs of our vehicles!